A great way to recycle and re-use those Plastic Bottles! 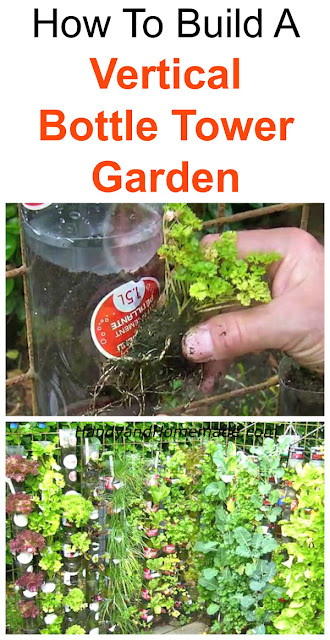 Stack them and create a bottle tower to grow your own vertical garden at home. Perfect for herbs and leaf vegetables, not to mention very easy to maintain. They are efficient and sustainable and can be installed against a wall of a house, fence or on a balcony. Wonderful for people with limited space or those who are unable to garden!